The Desert's only Cooking School and Private Event Space! We’ve been family owned and operated here in beautiful La Quinta, CA since 2007. We are a group of fun loving, professionally trained Chefs who love to share our passion for food, wine and fun with our students here in our beautiful kitchen. Join us! 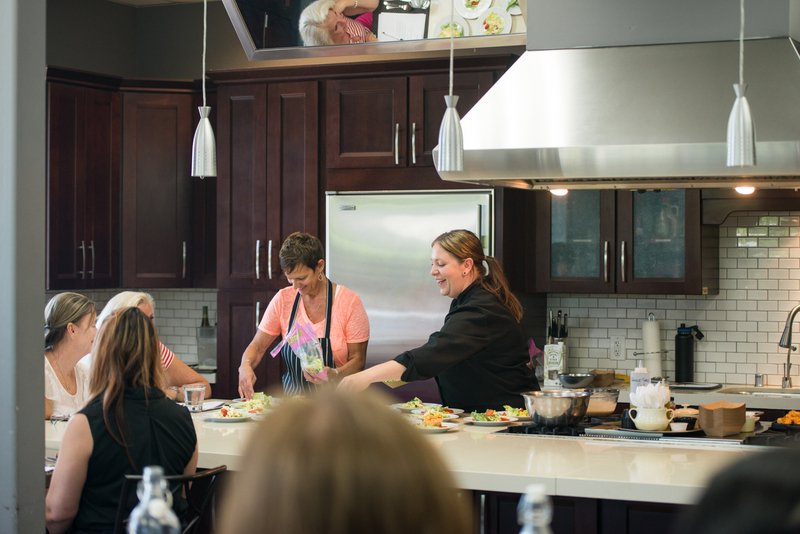 Cooking with Class offers a variety of single afternoon or evening classes with varying levels of price and participation. No matter what your skill level or interests, we have the perfect class just for you! From demonstration classes to hands on workshops, there is always something delicious to learn about from our talented Chefs. Some classes include full meal-sized portions to tantalize your taste buds, while others include generous tasting portions. Either way, you will not leave hungry – and that’s a promise! Students receive a copy of the day’s menu and all recipes to take home. To view specific menus, instructors and pricing for each class, simply click on the class that interests you on the class calendar page. You can register online, or by phone at 760-777-1161. We frequently offer a multi week series of classes, intended for those who want to dive a little deeper into a culinary subject. These series offer the student a much broader view of the topic and are usually hands on and longer in duration in order to provide a more immersive experience. Students will often work in groups to accomplish the more rigorous goals of the day’s’ subject matter. Like us, follow us, review us! Tues - Fri : We are open 10am - 3pm, with AM classes beginning at 12pm when scheduled. PM classes typically begin at 6pm. Sun: We are currently closed. Hours may vary, especially in the summer. It's always a good idea to call first.